The needs among audio conversion may vary and are more specialized, for example, you may need an audio conversion among MP3, AAC, WAV, OGG etc, an audio extractor from CD, DRM audio converter for iTunes, Apple Music, Spotify music, or streaming music downloader or recorder. So this audio converter review provides you the best solutions for music conversion according to your different needs or favor, and you will find the most suitable one to enrich your music world. Any Audio Converter is one of the best freeware as an audio converter and it came into our eyes for many years, but the developer still keeps its update. 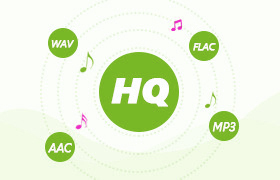 Users found and used it for ordinary audio conversion often like WAV to MP3 at the first place. This seems stereotyped and old fashioned, but fortunately it is more than a traditional audio converter but it also meets most of the other extra needs like extracting audio from video/CD/DVD, downloading music and videos from popular sharing sites like YouTube, Facebook, VEVO, Vimeo etc, editing music like clipping for music ringtone, ID3 tag modifying. This audio converter is totally free and without paid version provided. Why We Need Any Audio Converter Free? Free audio and video editor like music clip segment, audio setting personalization, ID3 tag editor. Verdict: Any Audio Converter Free is one of the best audio converters you can try, and you will like it. The most popular streaming music services like Spotify, Apple Music, Google Play, Amazon provide large music library for discovering and listening to. Users can subscribe them to unlock more privileges, like offline listening or downloading, but due to the DRM protection, we can not edit or transfer these music optionally, even lose them after canceling subscription. So DRM streaming music converter is necessary at this point, for example, Spotify Music Converter and Apple Music Converter maybe the most common ones you are looking for. What Is Spotify Music Converter? 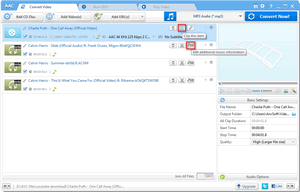 There are a handful of DRM music converters which support Spotify, and Sidify is nearly the pioneer in this area. You will find that the interface is very clean and neat and you will find all the buttons or setting you need. You can add Spotify tracks or playlists by copying and pasting the URLs or dragging the music from Spotify to add window directly. The simple settings like output formats (MP3, AAC, WAV, FLAC), conversion mode, output quality (320kbps high-quality) and output path are enough to help you get the DRM-free Spotify music easily and effectively. 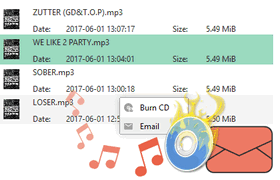 After downloading DRM-free Spotify music, you can feel free to modify it without any limitations, and you also can burn them to CD or share them to families or friends via email. What Make Spotify Music Converter Outstanding? Free version is available to expand your choice. Verdict: If you want to get DRM-free Spotify music, Sidify Music Converter for Spotify is a great option you can have a try. 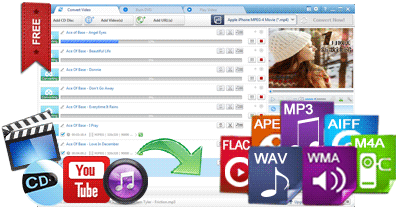 Sidify Music Converter Free is available now, so users can download it for acknowledgement to make wise decision. What Is Apple Music Converter? 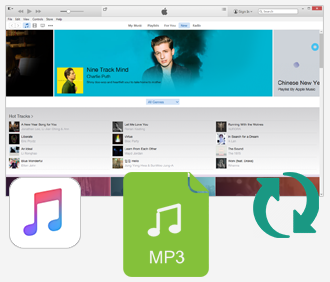 As a DRM media solution provider, Sidify also devotes itself to Apple Music DRM remove and conversion. Apple Music has no option for local computer saving or portable device transferring and playback even though a subscriber. Thanks to Sidify Apple Music Converter make this come true! If you have a big music library on iTunes like Apple Music songs, iTunes M4P music, and audiobooks, Sidify Apple Music Converter will do you a favor to make them DRM free with the lossless quality kept, so that you can feel free to modify them, transferring them to USB for enjoying in car, burning them to CD, streaming to TV and game console etc, just do as you wish. 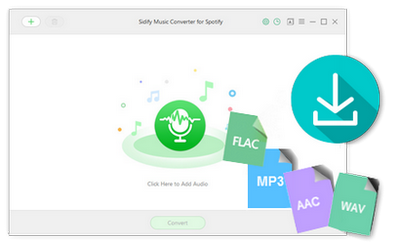 Why Choose Sidify Music Converter? Intuitive user interface without complicated settings. Verdict: Sidify Apple Music is a handy tool with no confusing settings or options. The audio quality that Sidify Apple Music Converter produced is the major point you may care about, with the innovative technology and continual improvement, you will get excellent audio quality after conversion. Summary: The best music converter - Any Audio Converter, Spotify Music Converter and Apple Music Converter above can essentially meet all your needs on music conversion, including DRM-free or DRM-ed music from online sharing sites and streaming services. You may probably find the one you prefer.